Spring has arrived and with it the feeling of brighter mornings , longer evenings and hopefully an end to the cold winter wind. 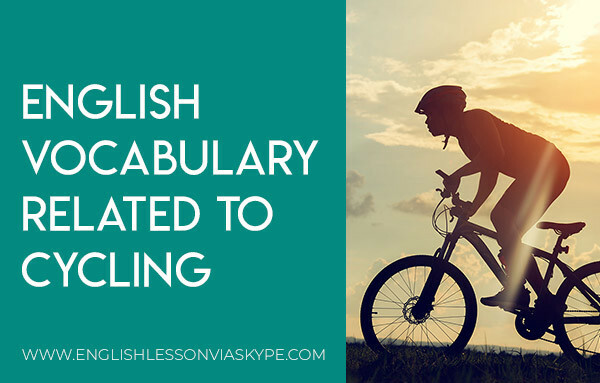 The following are English words and phrases connected with spring cleaning and particularly me looking forward to cycling my bike again. 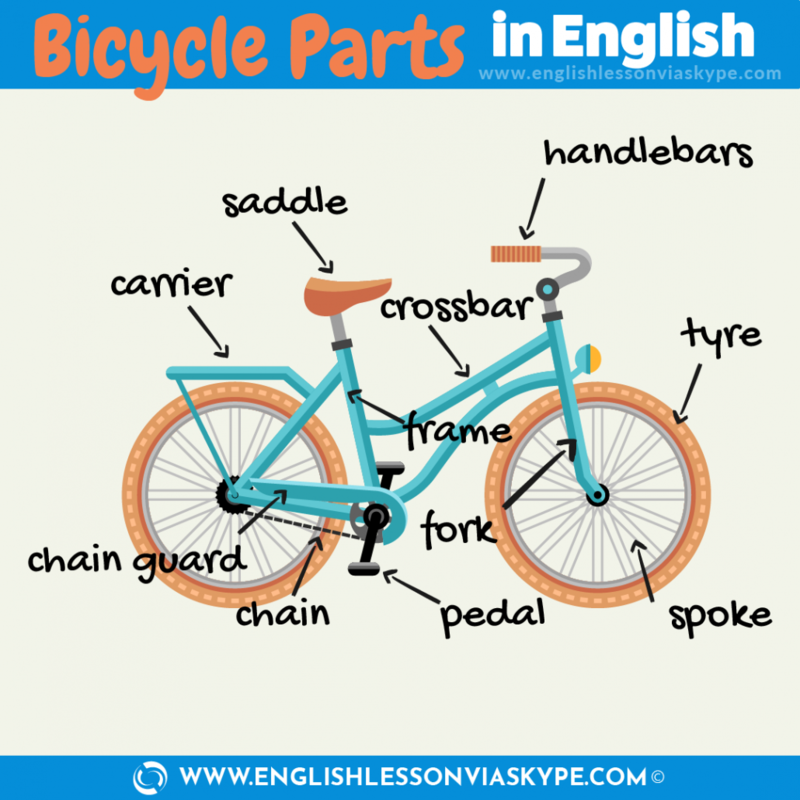 You will find here useful vocabulary for cycling, bicycle parts vocabulary in English + infographic and also English expressions connected with a bike. A few Saturdays ago (a couple of weeks ago) I decided to clean the windows in the apartment. I was fed up (bored) with looking at the winter dirt on the outside and as it was then March I thought “why not”. So I just went for it! (did it). I cleaned all the windows (every one of them: 9 in total), I cleaned them inside and outside up and down and top to bottom. They are now sparkling (shining brightly)! So having looked after the inside I decided to tackle (to do the job) my bike. I had been promising to clean for several weeks but today was the day! I took the bike out of the lock-up (shed in the basement, a small room where you can keep your belongings safely) gathered (collected) the cleaning equipment and took the bike to the garden. I had a basin (bucket) of warm soapy water, a cloth (a piece of fabric, made from wool, cotton, or a similar fibre) for cleaning and oil for the chain (bicycle chain). 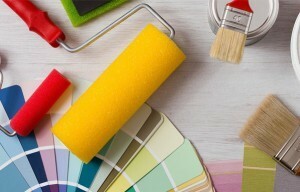 Firstly, I dealt with a years buildup (collection, increase in amount) of dirt and mud (soft wet earth). I scraped off the mud and washed the frame (main part of the bike) the wheels and spokes (small metal wires attached to the front and back wheels) and the chain guard (metal protection that covers the chain). Once that was clean I oiled the chain and the gears with a special oil for bike chains. I cleaned the pedals and checked that the brake blocks (stop the bike when you squeeze/pull your brakes), front and back, were working okay. Then I checked the handlebars and saddle (seat) and proceeded to the bike shop to put some air in the tyres which were a little soft after the winter. So having done all that and having given the bike a complete overhaul I decided to go for a spin (a quick ride). The bike was working fine. I am not to sure about me so perhaps I need an overhaul as well after the winter. 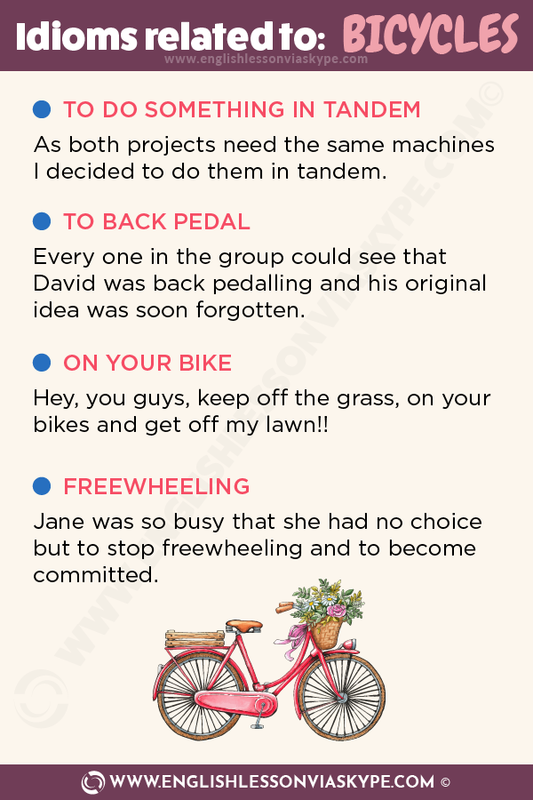 A tandem is a bike especially made for two people .There are two saddles and 2 sets of handlebars and both people can pedal. When we do something in tandem we do it together or at the same time. ex. My doctor has a large clinic and there is also a dental practice included. I was going to get an annual check up for my blood pressure and my teeth so I decided to do them in tandem. I visited the doctor and immediately afterwards I called into the dentist. As both projects need the same machines I decided to do them in tandem. When cycling a bike you put your weight on the pedal and push forward and the bike moves forward. To back pedal means to move the pedals in the reverse/opposite direction. When we are said to back pedal we change our mind or opinion and support another view. Ex. David was convinced he was right. He argued strongly that his was the only way the matter could be resolved. However, when Michael offered a better more developed option David suddenly started to agree with Michael. The others in the group could see that David was back pedalling and his original idea was soon forgotten. When you want someone to go away and leave you alone you can use this expression. It literally means to get on your bike and leave but it can be used in any situation when someone is asked to leave. When you are free wheeling on a bike you are usually going quite fast down hill without the need to pedal. So you are basically not doing anything. In life we can be accused of freewheeling when we are taking things a little easy and not working so hard. 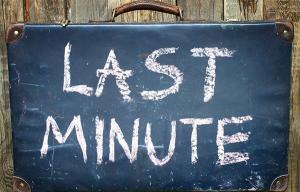 Talk about the Future Events in English – WILL or BE GOING TO?